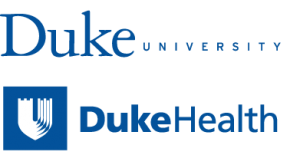 The Duke Mobile App Gateway delivers consultations and connects researchers and clinicians with resources and tools for mobile health research and mobile healthcare. We’ve interacted with over 100 people and groups in the digital health arena at Duke; some projects have proceeded smoothly, others have had special challenges. Come hear what we’ve learned: best practices, common roadblocks and pitfalls, as well as more helpful resources and tips. We’ll hear case studies directly from the project leaders to find out what worked and what didn’t. Then our MAG team will walk the audience through our lessons-learned to help you get your app developed and launched smoothly!